Man 1: I won't micromanage. You folks decide. Man 1: But it must be on rails. 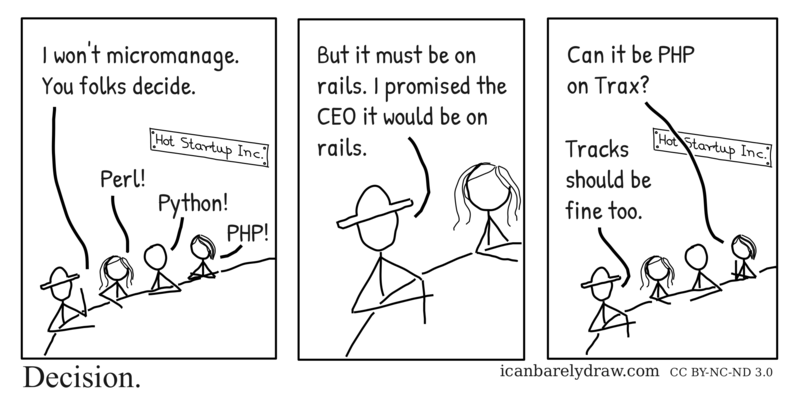 I promised the CEO it would be on rails. Woman 2: Can it be PHP on Trax? Man 1: Tracks should be fine too.